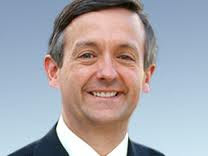 Pastor Robert Jeffress of the First Baptist Church in Dallas, TX has recently made headlines for creating a list of businesses that are “naughty” or “nice.” A business is considered nice if they appear to openly celebrate Christmas (either by oral greeting or store signage) or naughty if they choose a more ambiguous greeting such as “Happy Holidays.” This list is populated by citizens who can submit a business to www.grinchalert.com and (if approved by staff) it will be listed for the world to see. 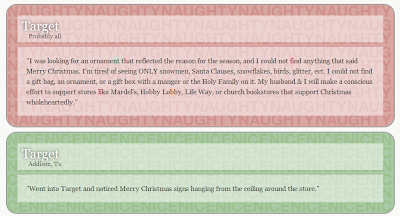 Pastor Jeffress has stated that his reasoning behind the decision was “to do something positive to encourage businesses to acknowledge Christmas and not bow to the strident voices of a minority who object to the holiday.” I decided to visit the site in order to discern which businesses were naughty and which were nice and immediately stumbled upon a conundrum. It would appear that some businesses have been double-booked. 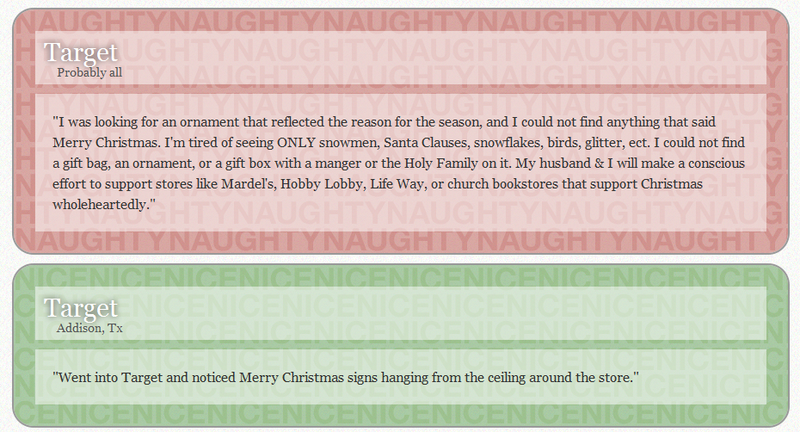 For instance, Target was listed as naughty by one submission and nice by another on the very same screen. The overall goal of the site is to guide holiday shoppers toward establishments that openly support Christianity by acknowledging Christmas’s elevated status as the premier winter holiday. Finding no local businesses on the list yet, I took it upon myself to select a local merchant (since most of the franchised institutions had been duly represented) and discover their stance. I eventually settled on the Double D Ranch, a Hooters-esque restaurant that that features scantily-clad women and serves beer in bra cup sizes. After chatting with the on-duty manager for several minutes, he enthusiastically informed me that the Double D Ranch was a “Merry Christmas business” through and through. I replied that his commitment to Christmas (and by extension Jesus) was inspiring and that he would be seeing me soon. I then logged on to Pastor Jeffress’s website and filled out a submission form nominating the Double D Ranch Restaurant in Jackson, TN as a “nice” business. As of this writing, I am still waiting for approval. Since the Grinch approval process seemed to be moving slowly, I decided to research some of the “nice” businesses. I began with Taco Bell, a franchise deemed worthy to carry the Pastor Jeffress seal of approval. Another “approved business,” Cinemark Theatres, was boycotted by several religious groups in 2008 after the CEO donated thousands of dollars to support the repealing of California’s Proposition 8. I use these examples not to make a moral statement on gambling or homosexuality, but to highlight the futility of trying to identify businesses that share compatible values based on how a minimum wage employee chooses to greet you. Is the best use of his church’s time and resources blacklisting organizations that acknowledge other religious holidays? Should Christians really get pissed off that a store acknowledges a Jewish holiday by inclusion? One person put Delta Airlines on the list because they “offended him as a Christian” by sending him an e-mail wishing he and his family “Happy Holidays.” This is one of the pettiest comments I have ever read. You are privileged to live in a country where you can freely worship as a Christian without fear of persecution and you chose to take time to be offended because an airline wished you a “Happy Holidays.” Do you even understand what the word offensive means?